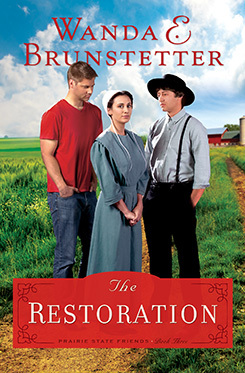 The Restoration by NY Times bestselling author Wanda E. Brunstetter is releasing on February 2nd! In honor of this highly-anticipated release, Wanda will award one lucky reader with a brand-new Kindle Fire HDX 8.9, Kindle's most powerful tablet ever! This special prize is valued at $479 and it could be yours! To enter, simply purchase a copy of The Restoration from your favorite retailer (in-store or online) and send us a photo of your receipt by February 9th using the form below. Please upload a photo of your receipt by selecting "Choose File" below. Step 1: Take a photo of your receipt or order confirmation and save the file to your computer. Screen shots are allowed. Step 2: Type your first name and last name into the proper fields on the form. Step 3: Type your e-mail address into the proper field on the form. Step 4: Click the "Choose File" button on the form. Browse to the location you saved your photo on your computer, select it, and then click "Open." Step 5: Click the "Submit" button on the form. *By entering this prize drawing, you are giving Barbour Publishing, Inc. permission to send you regular e-mail communications. You may unsubscribe from these e-mails at any time. Void where prohibited. Open to permanent legal residents of the 50 United States and the District of Columbia who are 18 years of age or older. Employees (including authors and families of employees) of sponsor Barbour Publishing, Inc. are ineligible. Entries must be received by February 9, 2016. All entries must be complete to be valid. 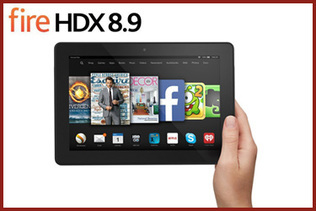 One grand prize winner will receive a Kindle Fire HDX 8.9. The odds of winning depend on the number of entries received. Many will enter. One will win. Amazon devices are given away on behalf of Barbour Publishing, Inc. Amazon is not a sponsor of this promotion .